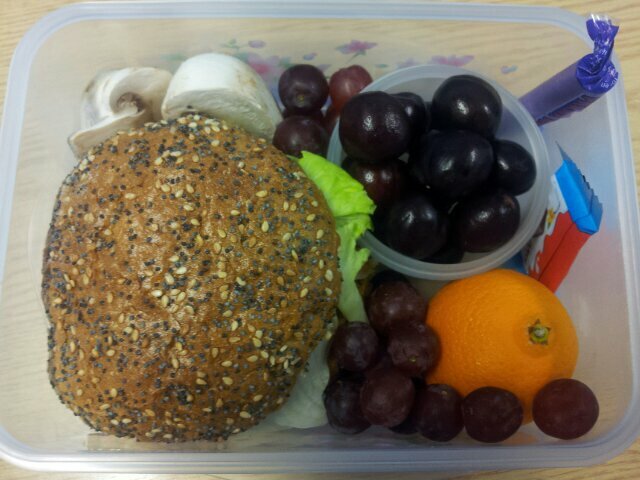 Seed roll with cheese and salad, grapes, orange, cherries, sliced mushrooms and a kinder treat. I will be starting to post a little more often and may look to start changing a few things around so watch this space! – it was super quick! The bento contains firecracker rice (cost a few pence more than plain rice but was worth the yumminess), steamed brocolli, grapes, jaffa cakes, and peanut butter crackers. I’m going to try and make a cheaper bento for myself as it’s given me lots more ideas! Would this bento appeal to you? 4. Getting your family involved with meal planning and designing. But, it is a very real thing that food prices are increasing dramatically. 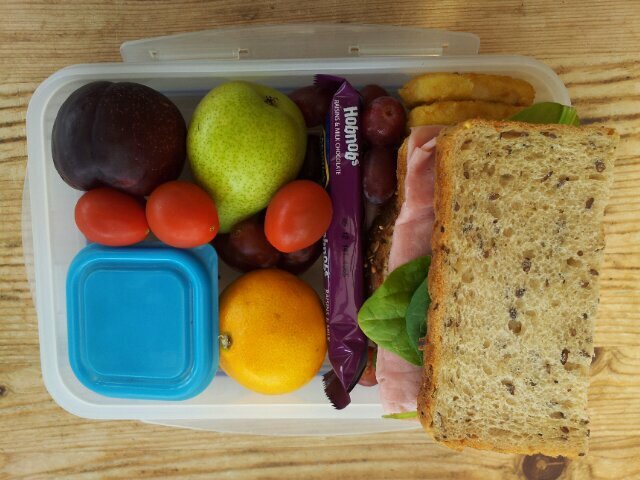 Can you still make tasty, healthy and appealing bentos on a tight budget? I would like to investigate. Over the next few weeks, I am going to try and reduce my food bill (to the extreme if possible) while still maintaining a healthy, balanced, and active lifestyle and meal plan. I plan to share tips and bentos on here, as well as get feedback from your lovely selves! 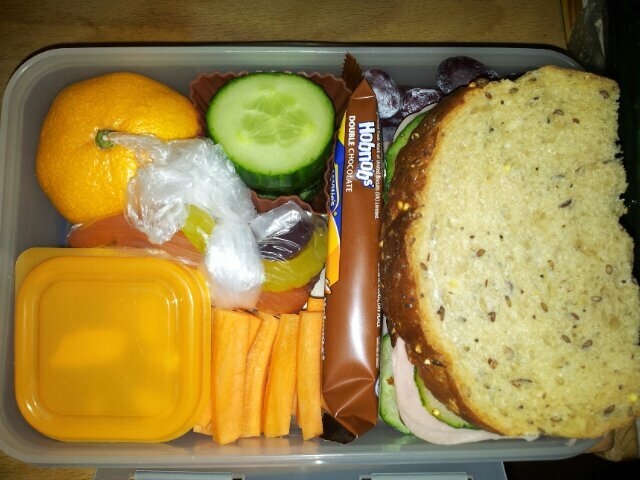 This contains simple sandwiches (with deli Ham and salad in), carrot sticks, cereal bar, unsalted nuts and raisins (in the orange lidded pot), cucumber, satsuma, cheeky jelly worms, and grapes tucked down the side. Sorry about the lighting on this one! I made it for a night shift (the bfs) and the flash makes it look all superimposed! How do you deal with lighting issues for blog/web photos? 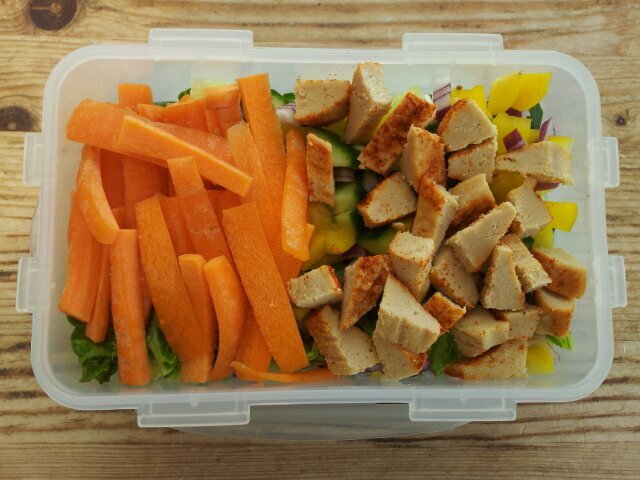 This bento-salad consists of lettuce, onion, pepper, cucumber, carrot and paprika Quorn chicken-style pieces. I love a bit of Quorn. What’s your favourite protein to have on a salad? Nice and healthy bento for a warm (almost) summer day. This bento contains ham salad sandwiches on seedy bread, quorn chicken style nuggets tucked down the side, a multitude of fresh fruit, unsalted nuts (in the pot) and a cereal bar. I know this glorious weather is not going to last but pretty please van we have dry weather for june? 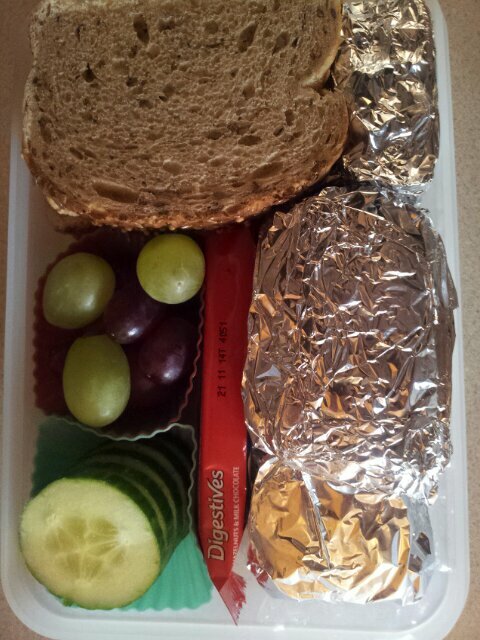 Here’s another one of my ‘boring’ bentos for myself. 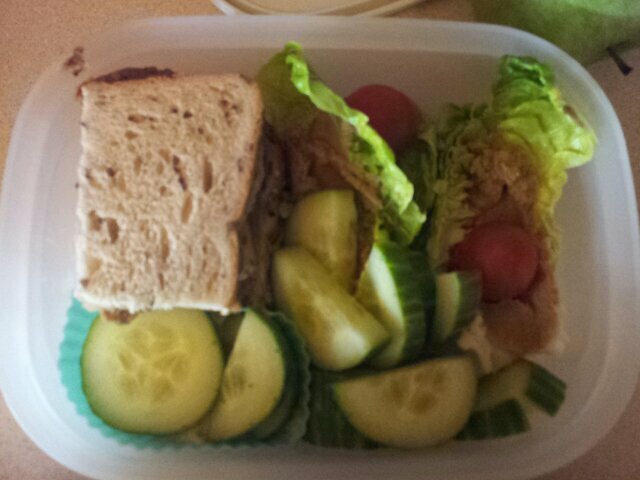 I have half of a veggie sausage sandwich, salmon paste lettuce wraps, cherry tomatoes, hummus and cucumber for dipping. I always take lots of fruit for snacks and lunch additions so I know it doesn’t look a lot, it was only part of a bigger picture (of my daily food). Has anyone got any easter choccy left? Some people think I’m strange still having some left! 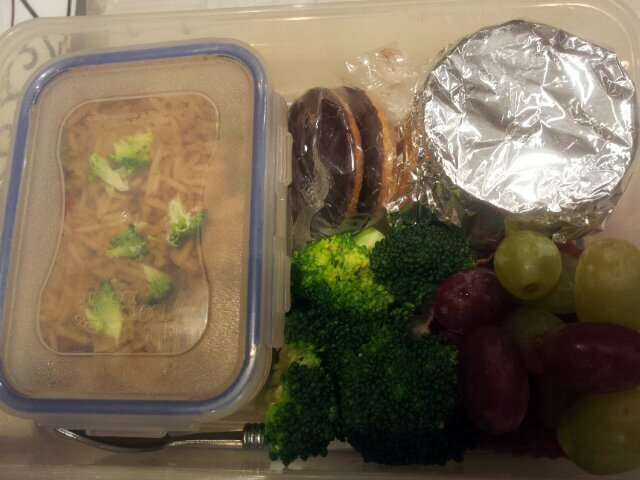 I always prepare myself lunch for work but it’s not normally in usual ‘bento’ form. Here is one of my lunches from last week. 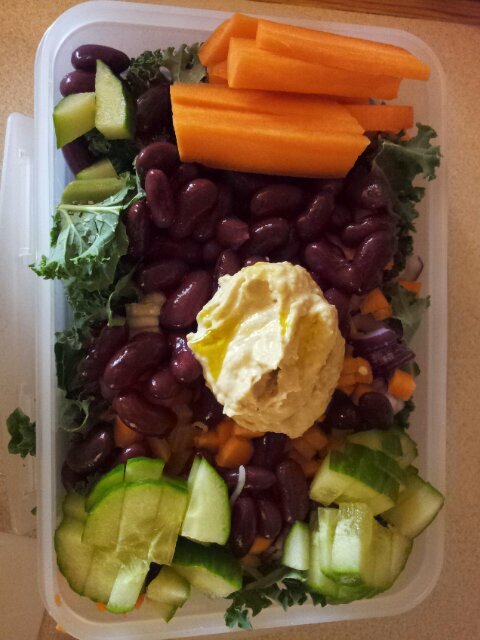 It is a big leafy salad with kale, cucumber, carrots, onions, kidney beans and hummus. I drizzled a little bit of olive oil and lemon juice on top as a dressing. I also massage the kale with a little bit of salt and pepper before I pop it in the salad. What yummy things do you put in your salads? Guess what’s in the foil! Also, while you’re at it, have a guess at why I have been a very bad blogger these past few weeks? Lack of posts this week sorry! It’s been a busy busy week at work, and with all the rest (half marathon this Sunday!). So, this bento is one for the boyfriend. 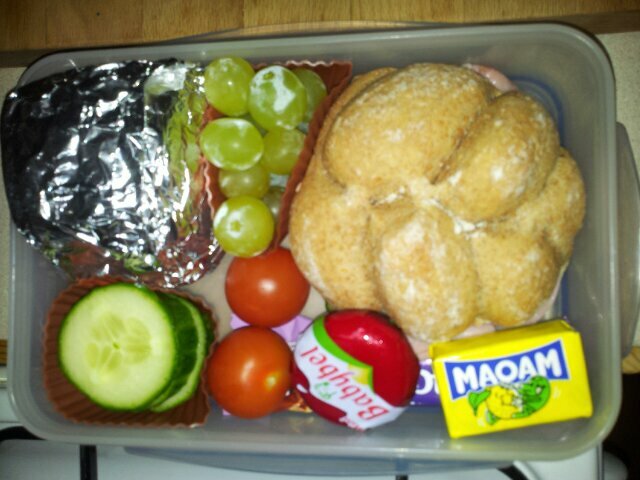 He has a wholemeal ham sandwich (nice and simple), cucumber, grapes, cherry tomatoes, malt loaf, babybel, cereal bar and sweeties. Nice and easy, but not so neatly packed!! Terrible me! Lent is getting difficult. I said I’d try and give up processed sugar and I haven’t eaten cakes, biscuits, flavoured yogurt, sweets or chocolate since the start of lent however, what doesn’t contain sugar! Processed sugar is in bread, all the sauces, drinks, cereals!! I haven’t been able to avoid bread (I only eat wholemeal/seeded bread anyway), or all sauces! I do think that all the sugar I have avoided has made a big difference. I don’t feel I need sweet things to kerp me going, my skin is miles better and I’ve even lost a little bit of weight! 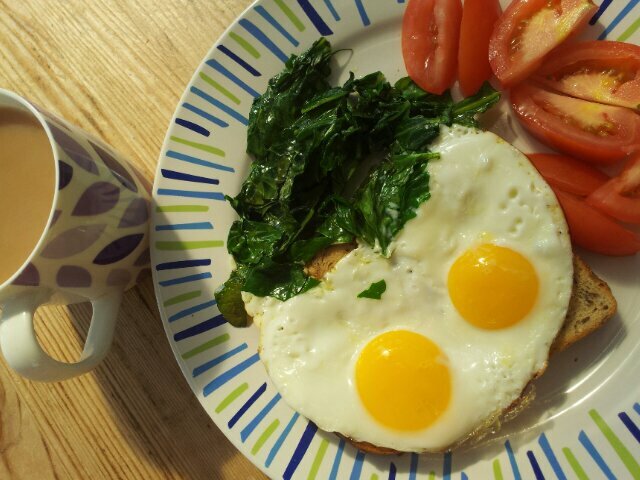 I feel I’ve been eating more, as I’ve been upping my veggies to reduce the amount of bread or other processed carbs that I eat. So, hows your lent going?